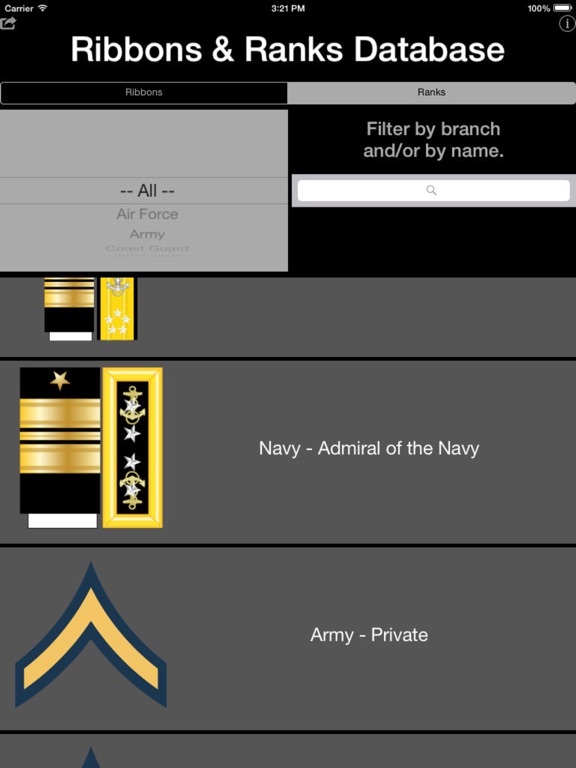 A handy database for military personal or military trivia buffs. 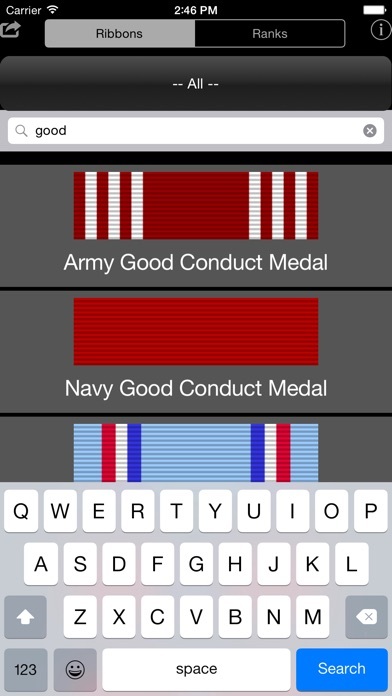 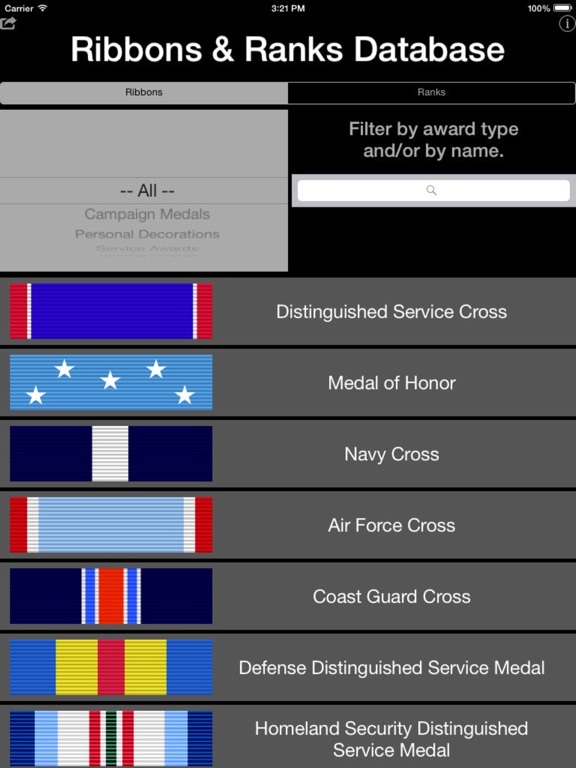 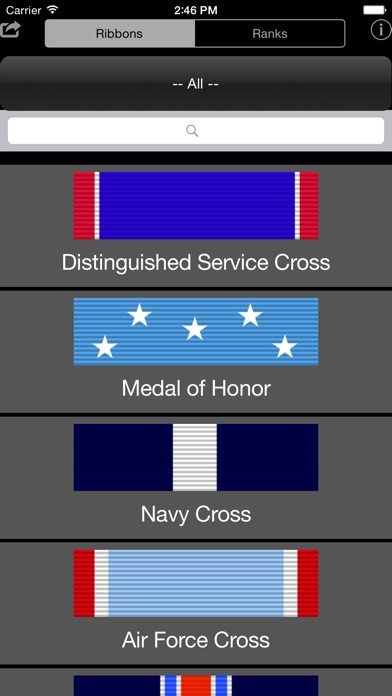 Search a database of awards and ranks of the US Armed Forces. 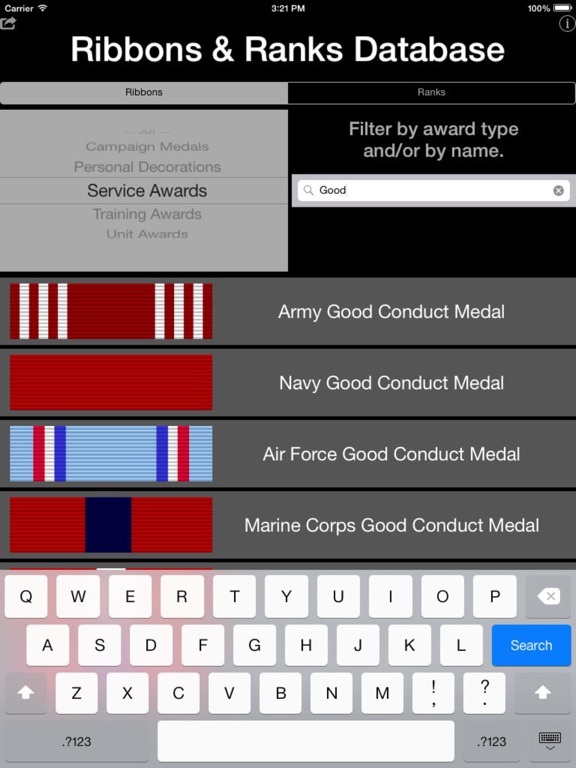 Filter ribbons by name and award type. 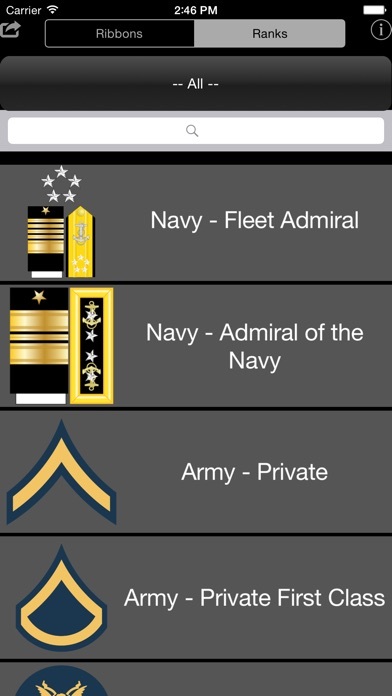 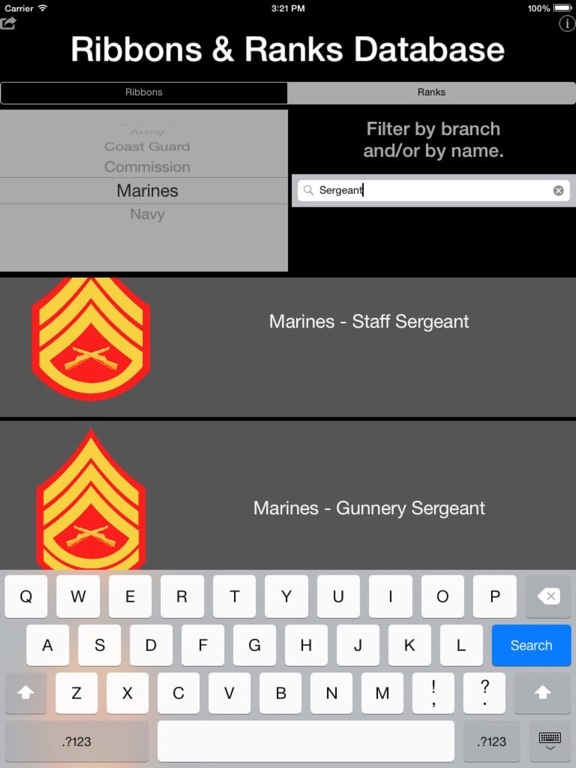 Filter ranks by name and military branch.